Hi, I’m Kathleen. I blog over at FrugalPortland.com and ForProfitBlogging.com. LaTisha and I started the Save 50% group on Facebook — join us over there! 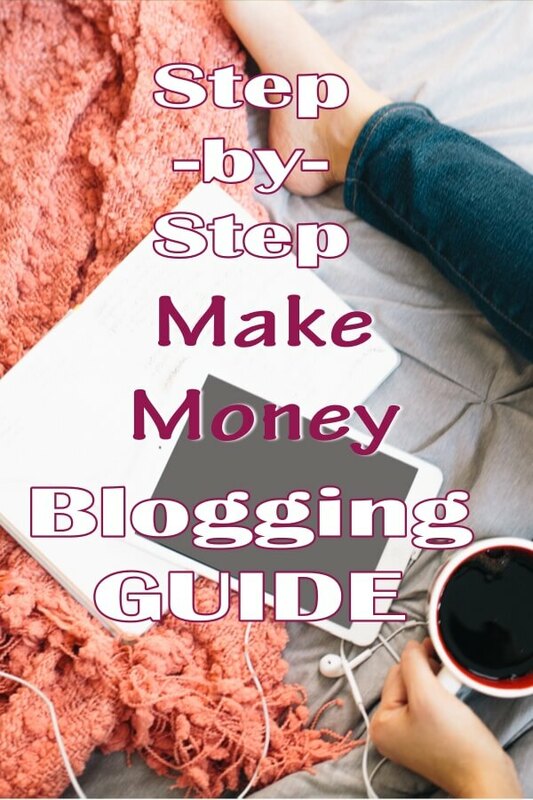 LaTisha kindly allowed me to write a guest post to help get the word out about the ebook I wrote about starting a blog and following all the right steps. If you’re trying to jumpstart your finances (and you are, if you’re reading this), one of the absolute best ways to do so is by starting a blog. You have a story — maybe it’s about how your college choices landed you under a huge mountain of student loan debt and you’re just waking up to your new reality. Or maybe you woke up on your 30th birthday and realized that this was the year you were supposed to have everything figured out. The year your young self said you’d be married and have a kid, but you woke up after that magical “figured it out by now” milepost not only single, but broke, and still in credit card debt? That was me. I couldn’t believe how stupid i’d been. And I was motivated to change. Not only that, but I knew that my situation wasn’t unique. I'm no snowflake, so even though I felt like a complete idiot, I knew I wasn’t alone. And I knew that I could help others change if I could change. So I started mapping my way out of credit card debt, then student loan debt, then auto loan debt. And I did it publicly to increase my chances of success. In my friend group, I was the odd one out. I didn’t have it figured out, and everyone else did. They had good jobs with good benefits, and even though they loved me, they couldn’t empathize. So I needed to find a new circle. I needed accountability. I needed people who understood what a weight off my shoulders it was when my debt went from $10,000 to 9,999. I had no idea where it would take me, and I have no idea what my life would look like now if I hadn’t started writing when I did. I believe everyone can make money telling their story online. How much money? It depends on how much work you want to put into it. In my mind, there are different tiers. There’s the Thai food tier, which means that the blog takes you out to dinner once a month, there’s the cable bill tier, which means your blog is paying one of your bills, there’s the rent tier, which is when you know you’re starting to make serious money, then there’s the quit-your-job tier, which everyone thinks they can get to, but few do. Making money should be secondary to telling your story. But some of the technical stuff gets in the way of blogging. You shouldn’t have to be a webmaster whiz in order to start telling your story online. I’m a professional blogger now, meaning I work as a blog manager for a company that teaches other companies how to set up inbound marketing programs to generate leads. That means I’m a super dork when it comes to this internet stuff. When i’m not blogging for work, i’m blogging for my own business, and when i’m not doing that, i’m eating, exercising, or sleeping. I'm also a serial entrepreneur. When I have an idea, I buy a domain, set up WordPress, then wonder if my idea has any legs. My good friend Anne is the same way. Together, we’ve started over 20 blogs, and the steps are not intuitive. It's frustrating to remember what your’e supposed to do first, second, third, and so on. So we wrote a checklist to guide us the next time we started a blog. The checklist turned into an ebook, and we realized that if we’re finding value on this, others will too, so On Your Mark, Get Set, Blog! was born. It’s a step-by-step guide to getting you started with your new blog without missing any steps. You'll look professional from the very beginning, and if you follow the steps, you’ll feel like “a real blogger” sooner than you think.